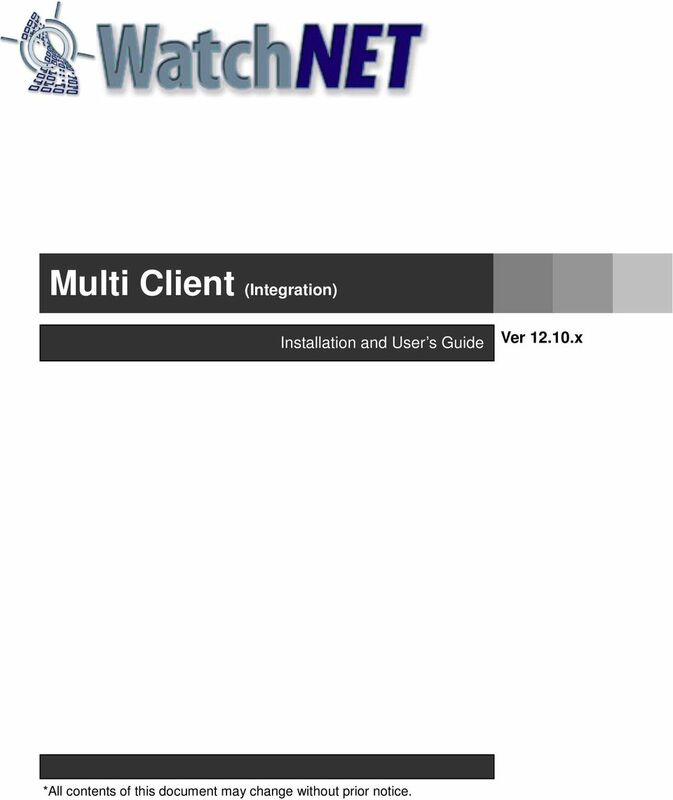 1 Multi Client (Integration) Installation and User s Guide Ver x *All contents of this document may change without prior notice. 3 Videon Digital Technologies Ltd. 2. 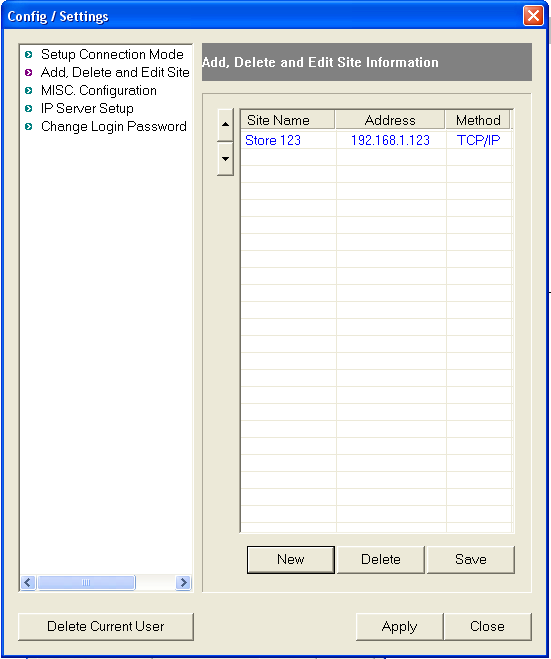 Introduction Support TCP/IP. 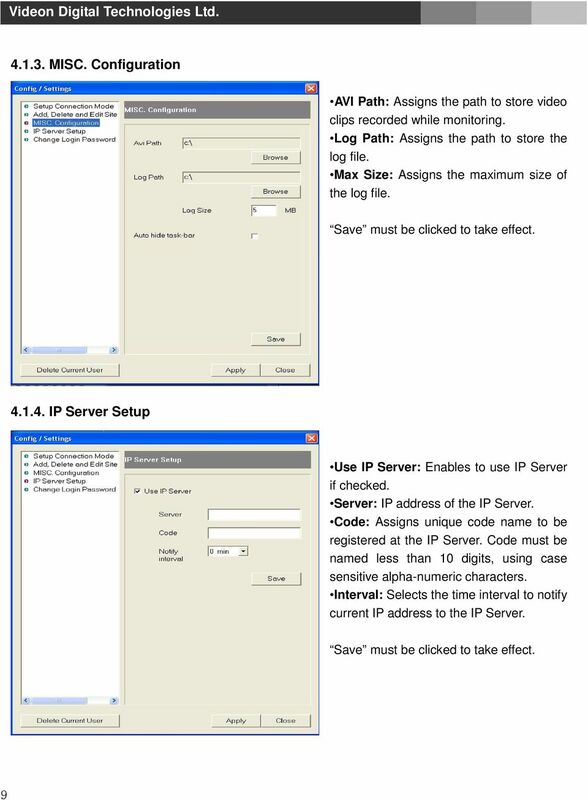 Support communication protocol to log in DVR DVR. 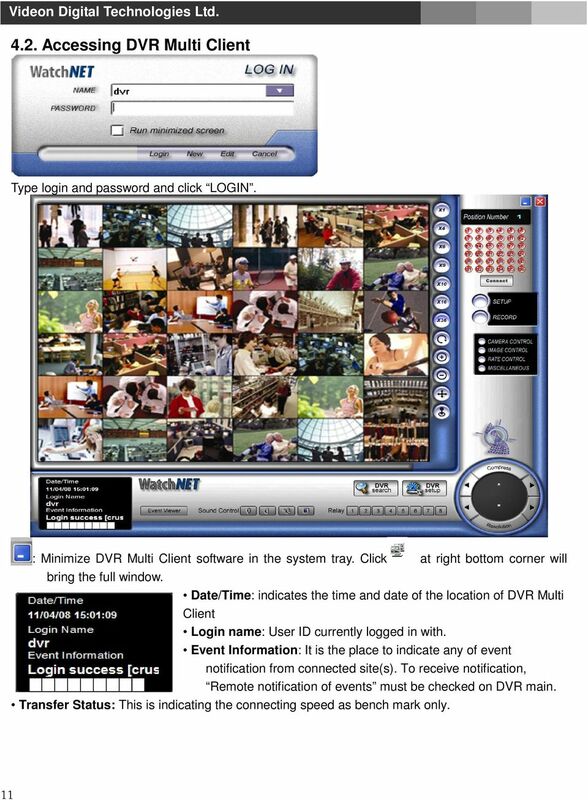 Real-time Monitoring of DVR motion pictures Log in DVR Multi Client and monitor all DVR system images in real time. Flexible relocation of displayed channels Displayed channel can be moved to desired location of the screen by simple drag and drop. Searching and Recording DVR data Various feature for Search and Recording, and even bring data to save it on the local computer. 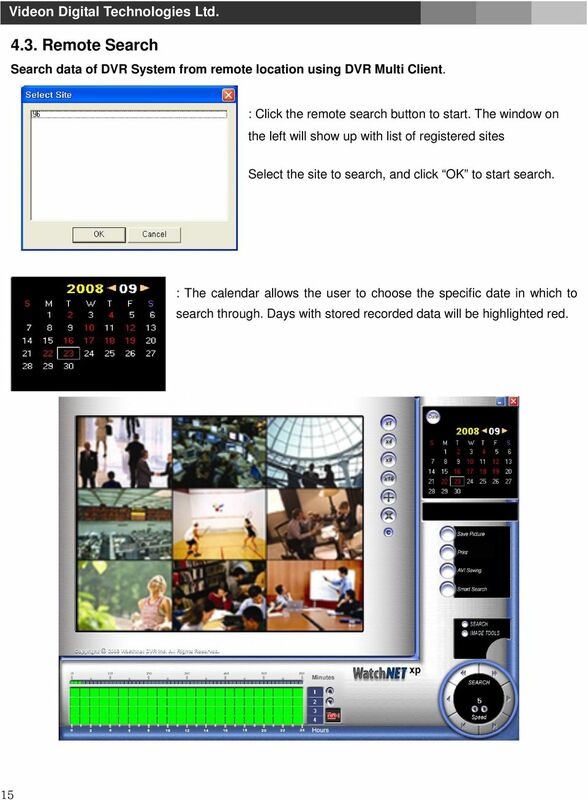 Audio Search Recorded audio data can be retrieved DVR Multi Client software. Two-way Voice Communications DVR Multi Client provides voice communication capabilities with the DVR system. 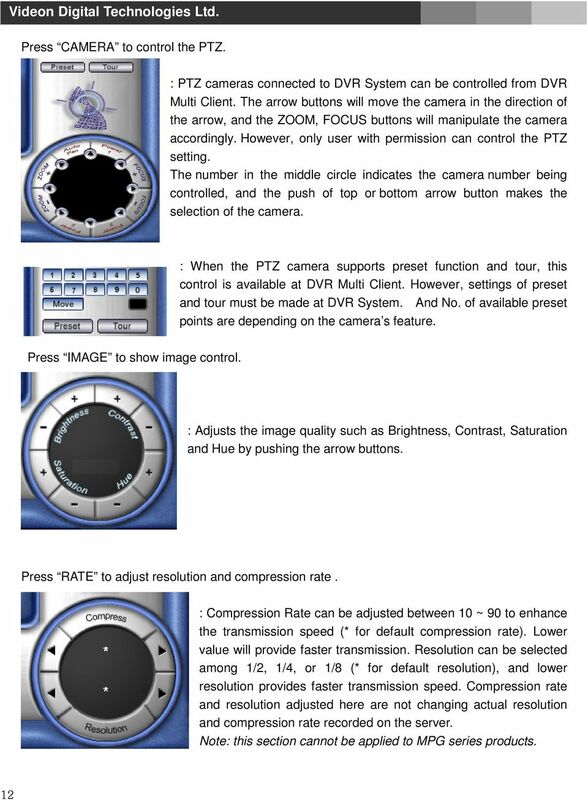 PAN/TILT/ZOOM/FOCUS remote control PTZ Controls can be attained by manipulating DVR Multi Client program. 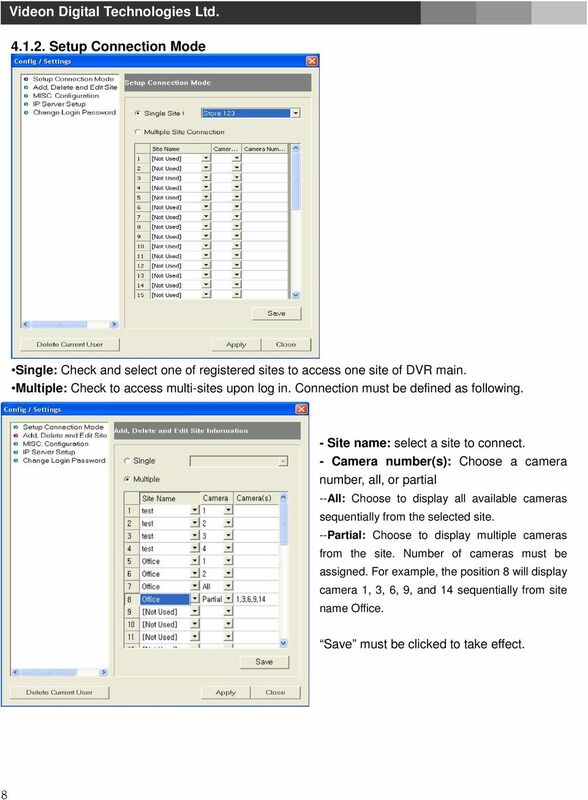 Manipulate DVR Settings Ability to change settings of DVR system from DVR Multi Client, such as enable / disable of cameras, change recording schedule, and change setting of sensors. 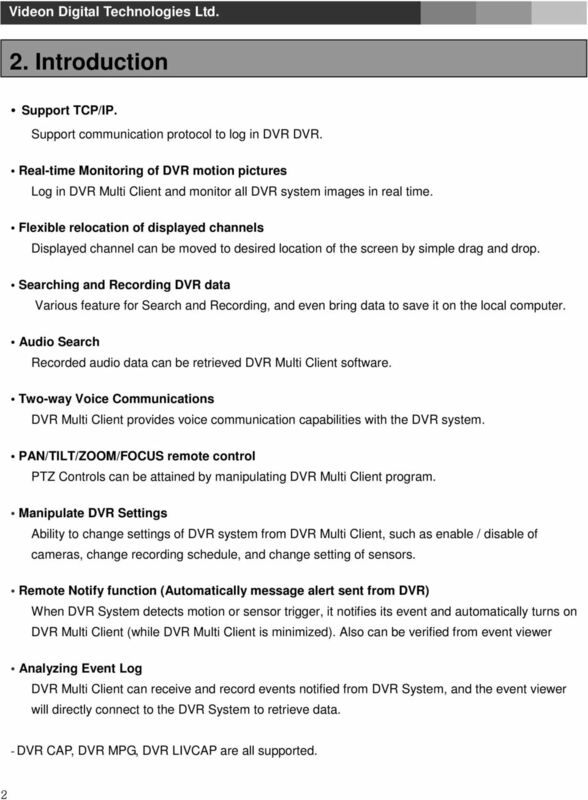 Remote Notify function (Automatically message alert sent from DVR) When DVR System detects motion or sensor trigger, it notifies its event and automatically turns on DVR Multi Client (while DVR Multi Client is minimized). 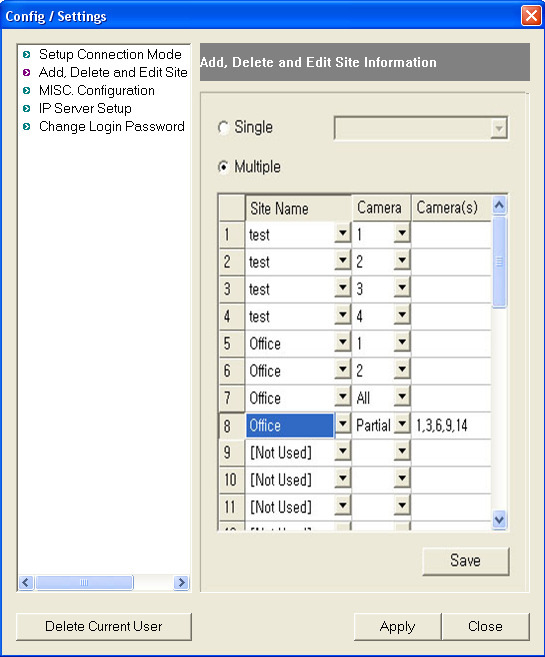 Also can be verified from event viewer Analyzing Event Log 2 DVR Multi Client can receive and record events notified from DVR System, and the event viewer will directly connect to the DVR System to retrieve data. - DVR CAP, DVR MPG, DVR LIVCAP are all supported. 6 4. 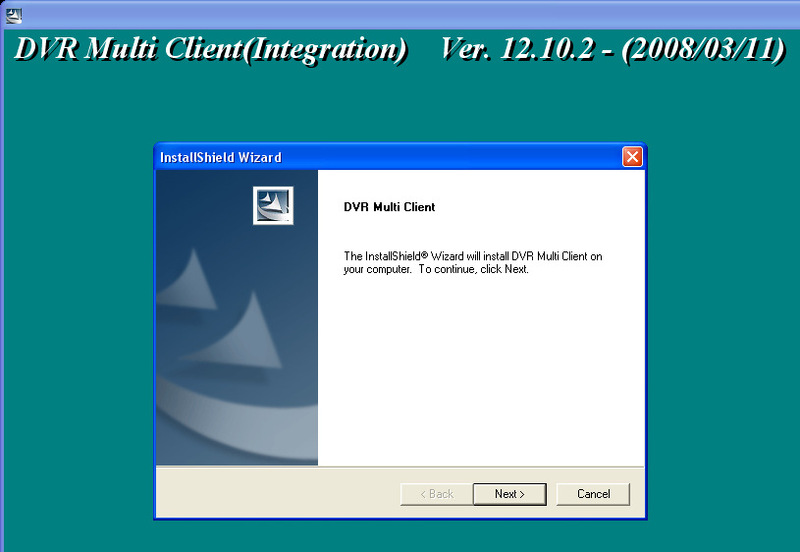 Using Multi-Client Software 4.1. DVR Login Setup Run DVR Multi-Client. 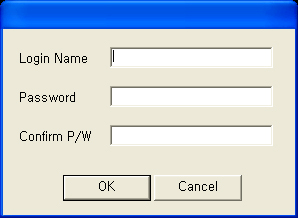 Then following dialogue box appears, which asks for Log in Name and Password. 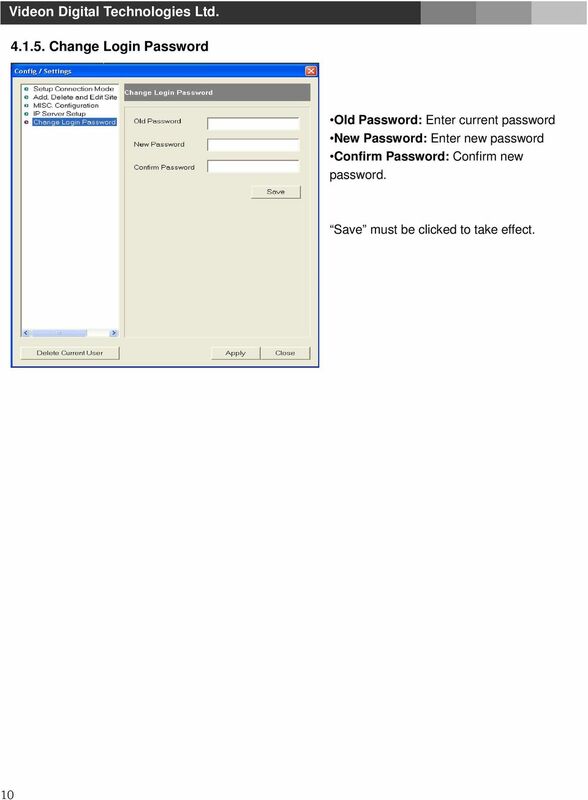 Login: Name / Password are for the authorized manager who controls the local network system. 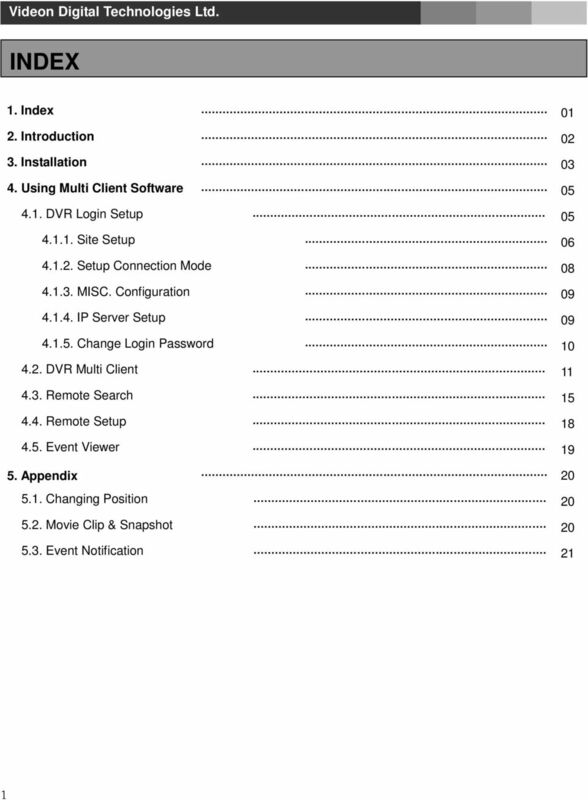 Note that login name and password here is for DVR Multi-Client program. It is different login and password than that of DVR Main. 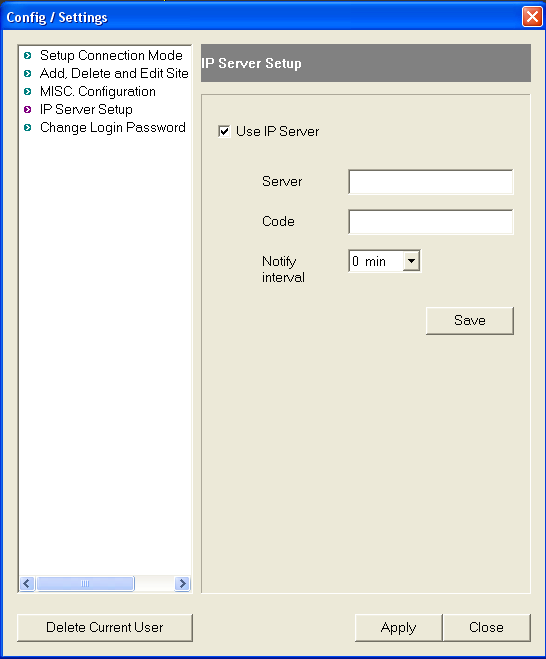 New: Create a new user (management) who wants to have the new network system. 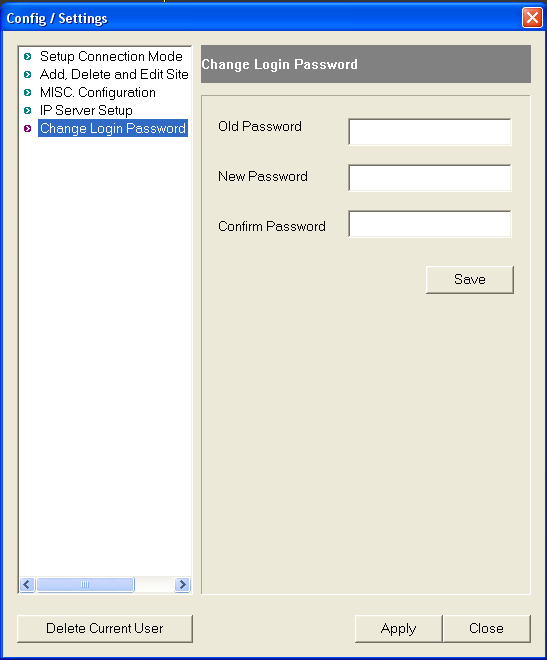 Edit: Change the existing information of registered user. Cancel: Exit without change. For the first time, or to add a new user, click New and type the information of user as follows. 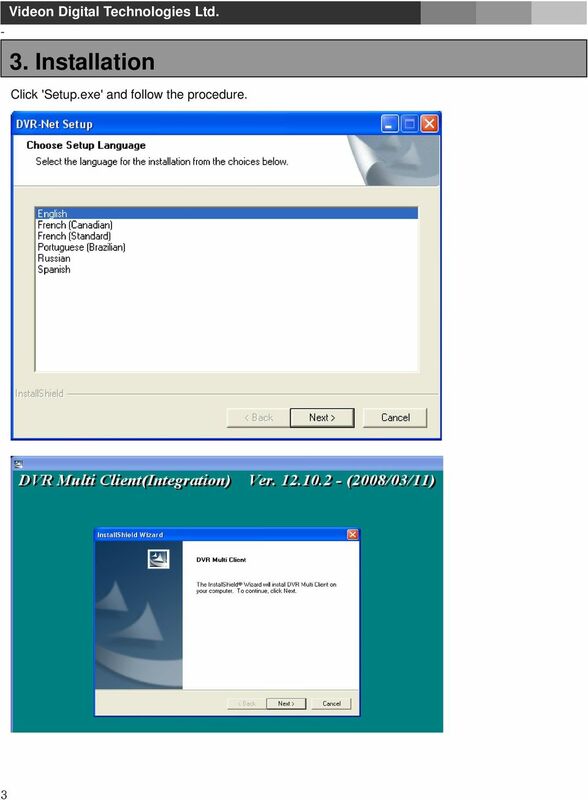 Login name: ID for a DVR Multi Client program user. Password: Password for Login. Confirm P/W: Reconfirm the password Note: The user created here is for local manager, which is not related the user(s) registered at DVR System. 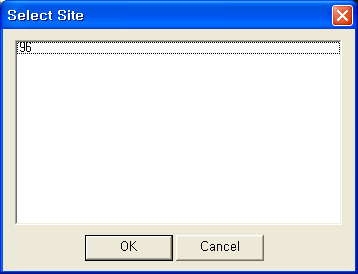 After you input the above information, click OK. Then, Add, Delete and Edit site information 5 screen will be appeared. 12 4.2. 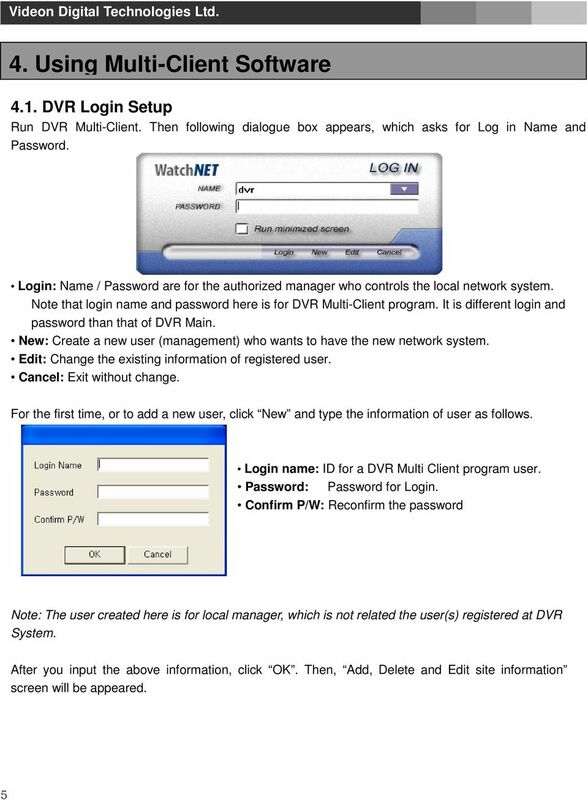 Accessing DVR Multi Client Type login and password and click LOGIN. 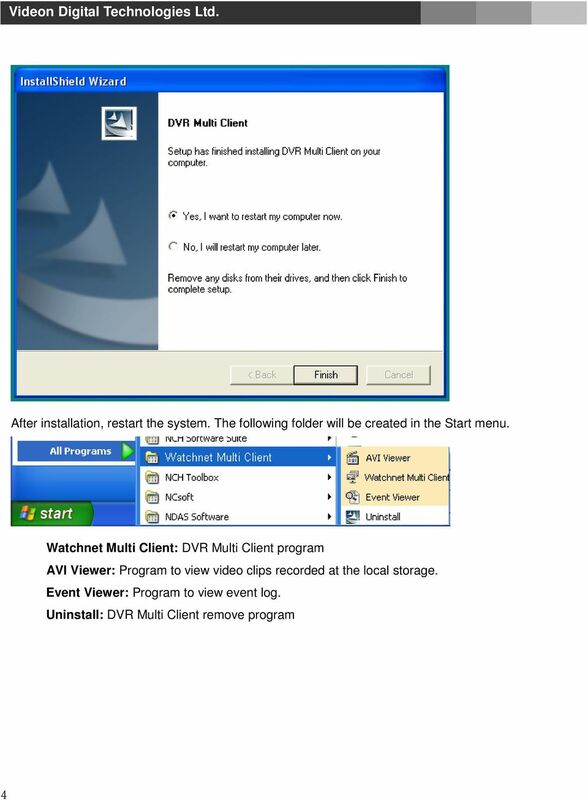 : Minimize DVR Multi Client software in the system tray. Click at right bottom corner will bring the full window. 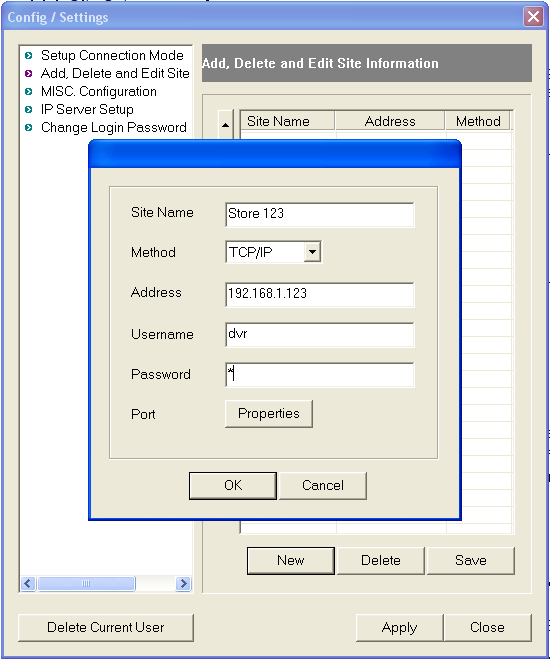 Date/Time: indicates the time and date of the location of DVR Multi Client Login name: User ID currently logged in with. Event Information: It is the place to indicate any of event notification from connected site(s). To receive notification, 11 Transfer Status: This is indicating the connecting speed as bench mark only. Remote notification of events must be checked on DVR main. 13 Press CAMERA to control the PTZ. 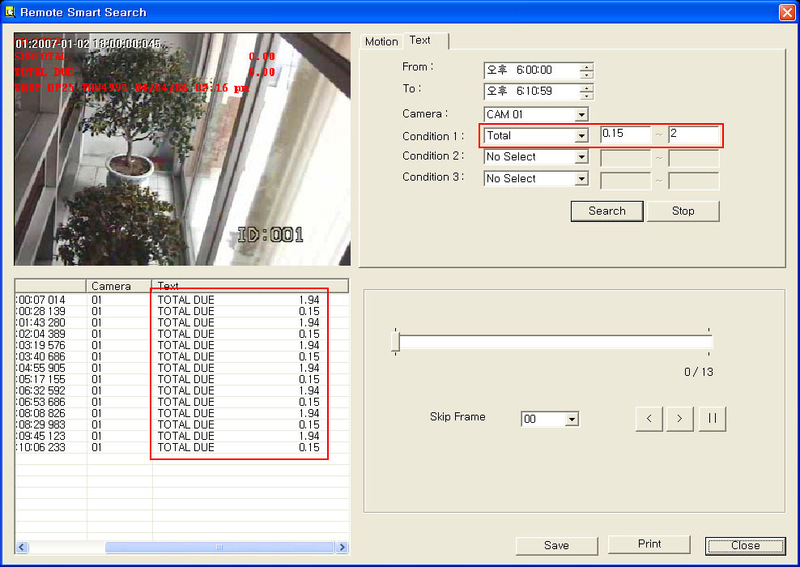 : PTZ cameras connected to DVR System can be controlled from DVR Multi Client. The arrow buttons will move the camera in the direction of the arrow, and the ZOOM, FOCUS buttons will manipulate the camera accordingly. However, only user with permission can control the PTZ setting. The number in the middle circle indicates the camera number being controlled, and the push of top or bottom arrow button makes the selection of the camera. 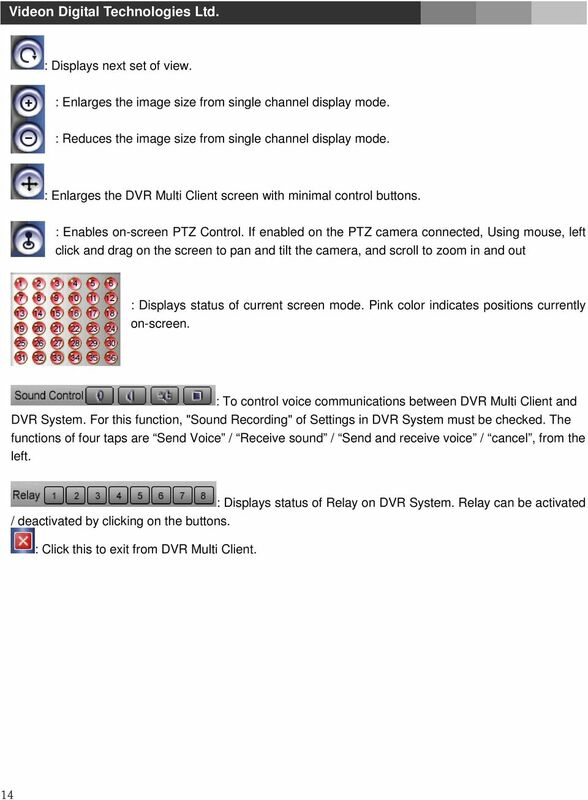 : When the PTZ camera supports preset function and tour, this control is available at DVR Multi Client. However, settings of preset and tour must be made at DVR System. And No. of available preset points are depending on the camera s feature. Press IMAGE to show image control. : Adjusts the image quality such as Brightness, Contrast, Saturation and Hue by pushing the arrow buttons. Press RATE to adjust resolution and compression rate. 12 : Compression Rate can be adjusted between 10 ~ 90 to enhance the transmission speed (* for default compression rate). Lower value will provide faster transmission. Resolution can be selected among 1/2, 1/4, or 1/8 (* for default resolution), and lower resolution provides faster transmission speed. Compression rate and resolution adjusted here are not changing actual resolution and compression rate recorded on the server. Note: this section cannot be applied to MPG series products. 17 : Change between search tools and image control tools. : Buttons in upper line works for fast rewind (left directional arrow) and fast forward (right directional arrow). Buttons in middle line activate the normal playing back in forward and reverse but the speed can be adjusted by controlling (-), (+) tap on the top. The buttons in lower line give playback frame by frame, forward or reverse. 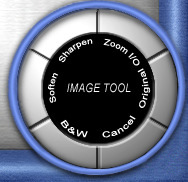 : Image Tools allow the user to adjust image properties to enhance the image quality. Adjustments are not effecting to the original image recorded. Click on Cancel to go back to the original image. 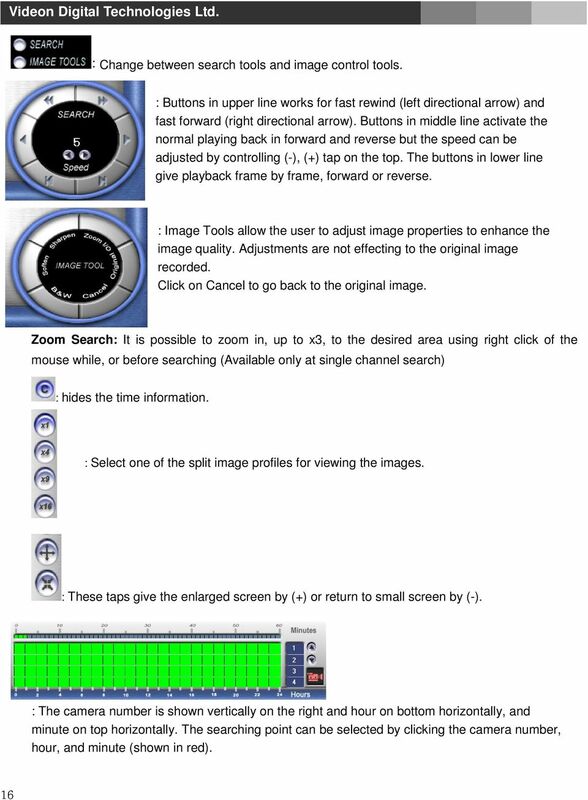 Zoom Search: It is possible to zoom in, up to x3, to the desired area using right click of the mouse while, or before searching (Available only at single channel search) : hides the time information. : Select one of the split image profiles for viewing the images. : These taps give the enlarged screen by (+) or return to small screen by (-). 16 : The camera number is shown vertically on the right and hour on bottom horizontally, and minute on top horizontally. The searching point can be selected by clicking the camera number, hour, and minute (shown in red). 18 : In above picture, selection of camera can be done by clicking these buttons, scrolling camera group as 4 camera in a group, namely 1~4, 5~8, 9~12, 13~16 : The camera icon indicates camera mode. Clicking the icon will toggle to sound search mode to retrieve recorded sound with image. 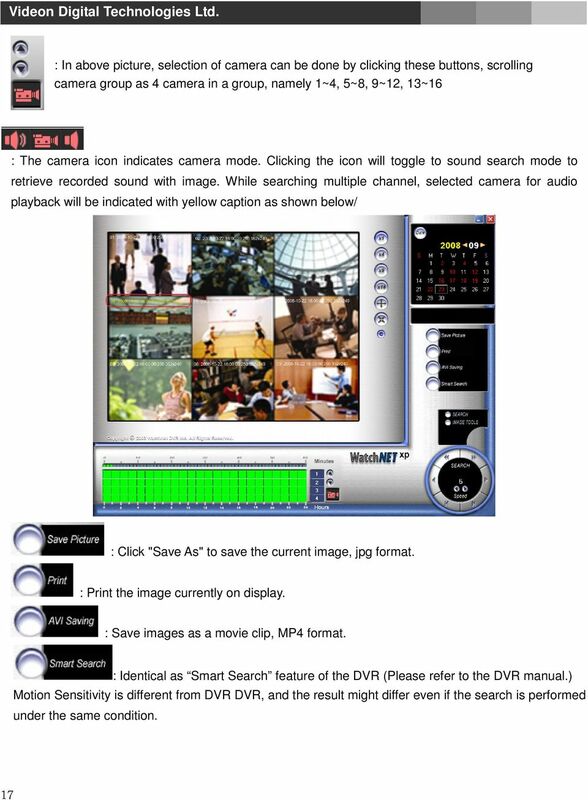 While searching multiple channel, selected camera for audio playback will be indicated with yellow caption as shown below/ : Click "Save As" to save the current image, jpg format. : Print the image currently on display. : Save images as a movie clip, MP4 format. 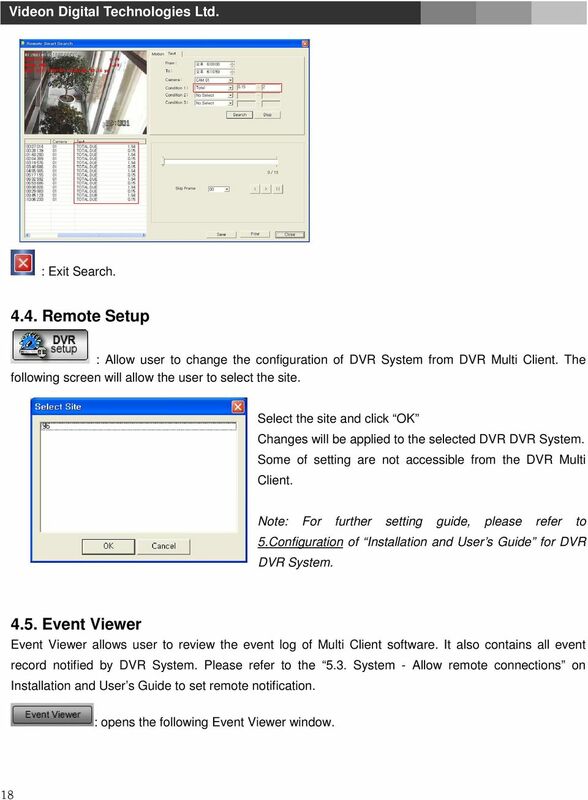 : Identical as Smart Search feature of the DVR (Please refer to the DVR manual.) 17 Motion Sensitivity is different from DVR DVR, and the result might differ even if the search is performed under the same condition. 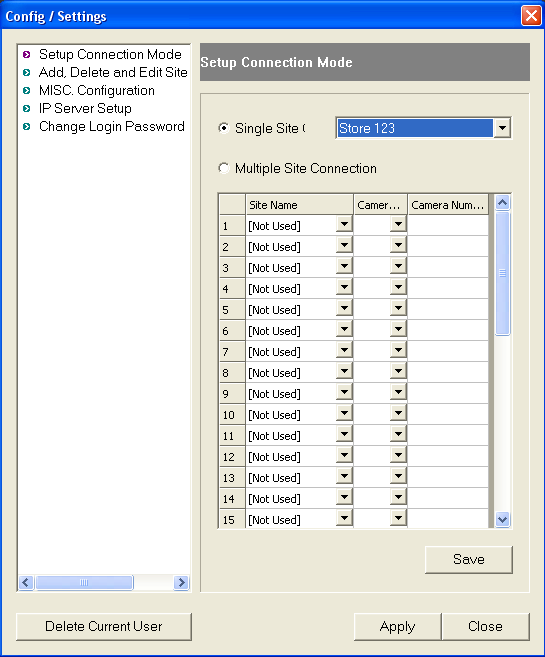 19 : Exit Search Remote Setup : Allow user to change the configuration of DVR System from DVR Multi Client. 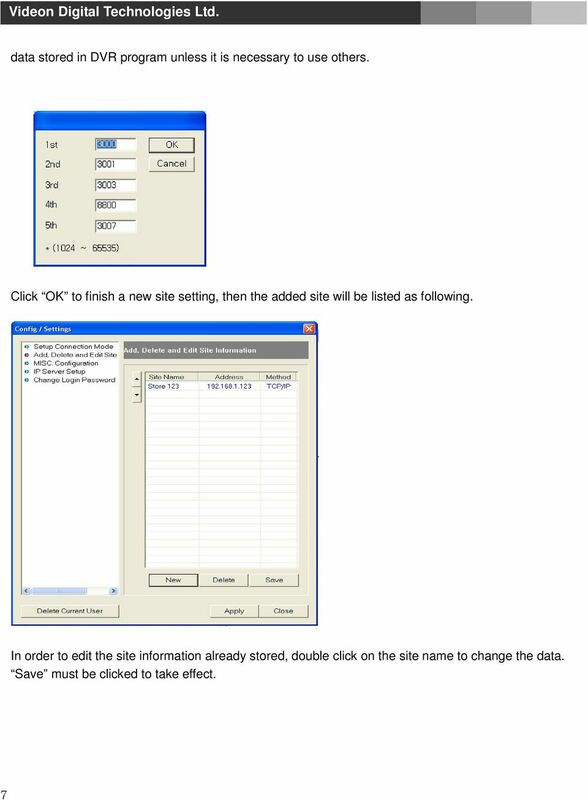 The following screen will allow the user to select the site. 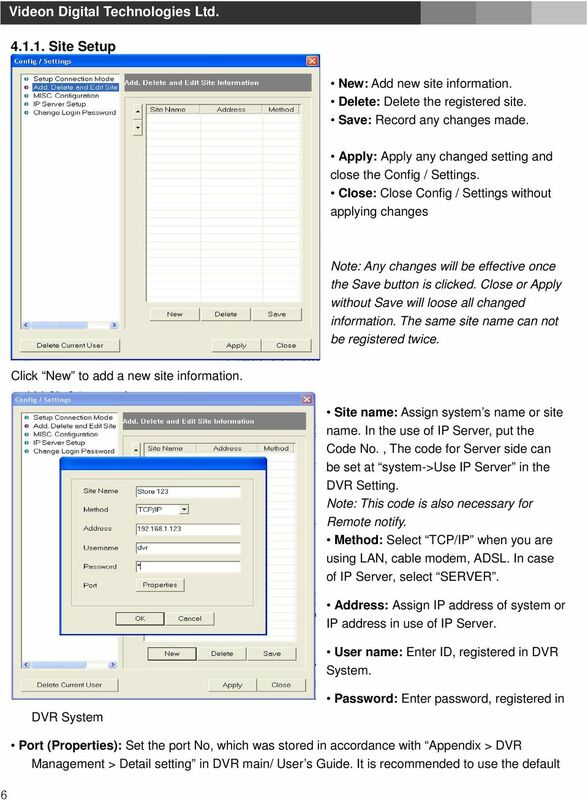 Select the site and click OK Changes will be applied to the selected DVR DVR System. Some of setting are not accessible from the DVR Multi Client. 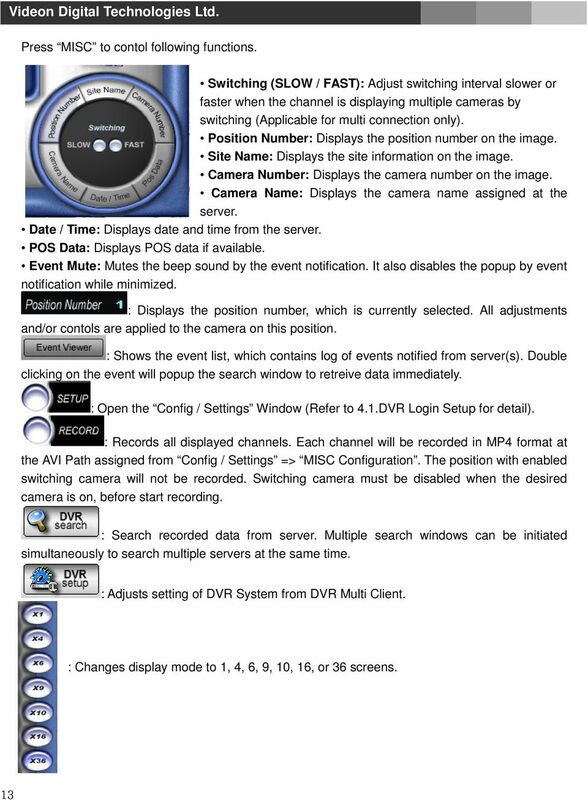 Note: For further setting guide, please refer to 5.Configuration of Installation and User s Guide for DVR DVR System Event Viewer Event Viewer allows user to review the event log of Multi Client software. 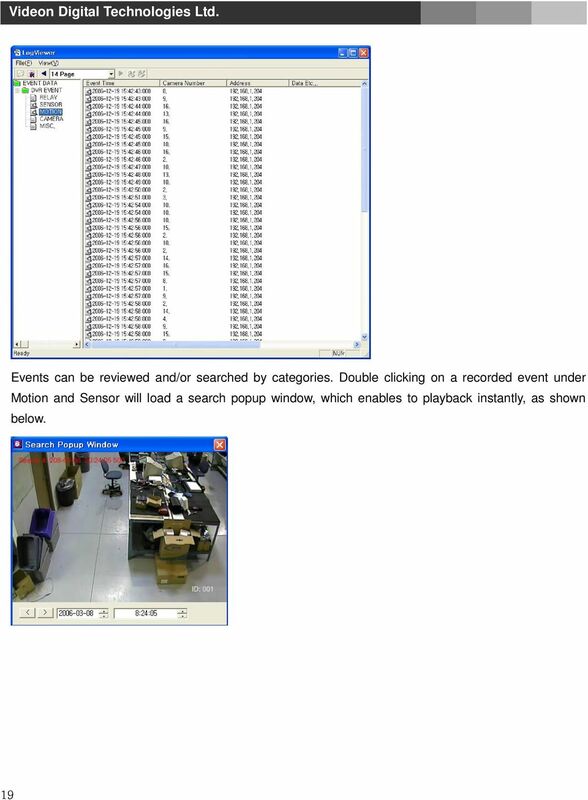 It also contains all event record notified by DVR System. Please refer to the 5.3. System - Allow remote connections on 18 Installation and User s Guide to set remote notification. : opens the following Event Viewer window. GeoVision Setup. 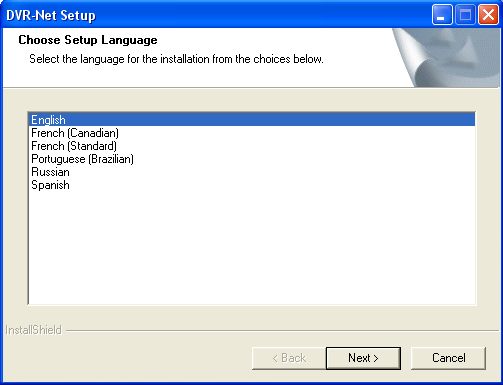 Once all the settings for Windows are completed and you have all the hard drives setup you can install GeoVision.